Sustainable business development: Latest fad or strategic business practice? There is an increasing understanding that climate change is not an isolated environmental issue like air pollution or acid rain, but rather an anomaly that affects everyone and everything. More and more people are realising that climate change is THE issue of the 21st century and beyond. It affects every aspect of people’s life, from their use of energy to how they eat, work, travel and relax. From being a suspicious subject discussed by hippies and unknown scientists, climate change is now firmly rooted in the mainstream agenda. 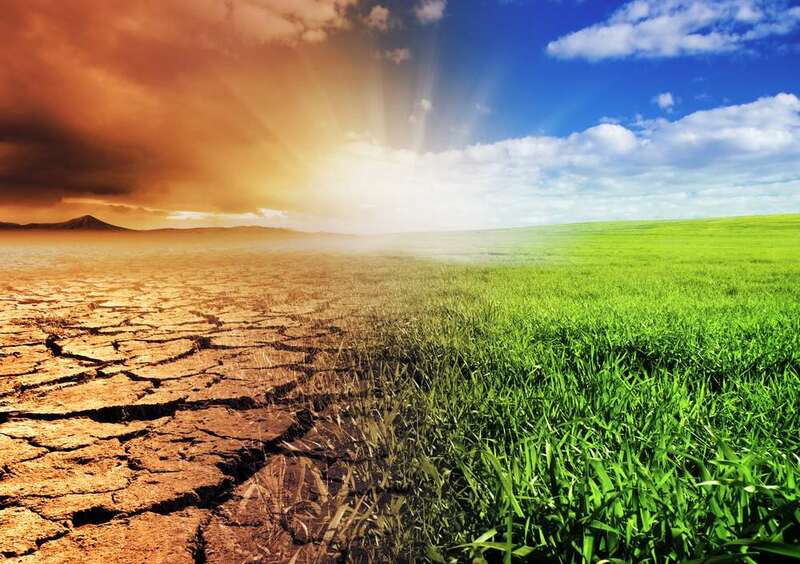 People are beginning to understand the interconnection of climate change and start to acknowledge the importance of integrated governmental policies on agriculture, transport, energy and commerce. Due to increasing scientific proof, climate change has advanced from a possible, long-term worry about negative environmental consequences to a direct concern about the melting of alpine glaciers, heat waves, hurricanes, water shortages, food production, and extinction of species such as polar bears. The term ‘decarbonisation of the economy’ is increasingly used to describe the process of extracting the carbon from the energy we use to run our economies. But its consequences for how we organize our economies is seldom highlighted or properly understood. Instead it is simply seen as a technical issue. The result of decarbonising the economy is sometimes referred to as climate capitalism: a model which combines capitalism’s demand for continuous economic growth with a major swift to low-carbon industrial development. The concept of sustainable economic development was first mentioned in the Brundtland Report (‘Our Common Future’, 1987) from the UN World Commission on Environment and Development. Sustainable economic development “meets the needs of current generations without compromising the ability of future generations to meet their own needs” (Brundtland Commission, 1987). Sustainability is a broader concept than decarbonisation, as it also takes wider environmental factors such as deforestation or water shortage into consideration, but also social and economic factors like labour conditions and business innovation. There are many advantages of sustainable business development, such as less pollution, healthy ecosystems, advanced public health and happy consumers, but the elemental driver is company profit. Without profit, companies cannot survive and thrive. John Elkington, founder of Sustainability, a British consultancy, came up with the concept of the ‘triple bottom line’. Elkington stated that companies should adhere to three specific measures of performance: (1) profits and losses; (2) the organisation’s impact on people; and (3) pollution and resource depletion (Elkington, 1994). These tripartite social, economic, and environmental factors form the basis of sustainable business development. Sustainable business development is about keeping the balance between social, economic, and environmental concerns in corporate decision-making; taking care of the natural resources the company uses, recompensing the communities in which companies work and promoting long-term value-creation for shareholders. But it is important to understand that, next to increasing environmental and social pressures, there are foremost solid economic reasons behind the sustainable business trend. On a company level, sustainability has become key to staying competitive through measures such as waste management, improved resources, operational efficiency and especially improved brand equity and reputational benefits. According to the Harvard Business Review (Nidumolu, Prahalad and Rangaswami, 2009), sustainability is now the main driver of business innovation. Sanders and Wood (2015) have identified two types of companies who invest in sustainability: embracers who have adopted sustainability-driven strategies; and cautious adopters who have taken sustainability initiatives and are starting to make sustainability part of their business strategy. The difference between these two categories is their level of commitment to sustainability. Sustainability cannot succeed in a void. It needs government policies and laws that support and regulate sustainable initiatives. But businesses also have a crucial role to play in realising sustainability. This is especially true for corporate governance mechanisms and corporate leaders. Both are responsible for the control of corporate activities and both need to address the needs of stakeholders in corporate decision-making. Corporate governance is the system of rules, practices and processes by which a company is directed and controlled. Corporate governance should balance the interests of relevant company stakeholders (shareholders, employees, customers, suppliers, financiers, government, and community) to create value. Corporate governance is also necessary to achieve ethical, transparent, and sustainable corporate conduct (Solomon, 2013). However, whether all this is actually done depends upon the values and goals of the leaders running these corporations. The lack of reliable metrics for understanding the impacts of businesses on the environment and society at large is one of the main reasons why many businesses have not yet integrated sustainability into their business strategy. Sustainability has to be measured if it wants to be effective. Measuring increases accountability for performance in the company. Additionally, reporting that performance increases accountability between the company and its external stakeholders, which in turn improves credibility, customer access and reputation. Sustainable finance and accounting procedures can improve sustainability performance across supply chains, operations, marketing, risk management, business strategy, compliance and management functions. Sustainable business development is not merely the latest business fad. Sustainable investment has endured the global financial and economic crisis of 2008. In addition, the number of companies increasing investment in sustainability has more than doubled since 2010 (Sanders and Wood, 2015). In companies, climate change is moving from support staff to top management level, involving CEOs, CFOs, and corporate boards. This sustainability process has affected every level of society, from businesses, cities, and countries administering their greenhouse gas emissions, to investment analysts including climate liabilities in their reports, along with tangible worries about the potential consequences of climate change models. Adopting sustainable business practices is no longer a matter of choice for businesses, it has become a matter of creating and maintaining a sustainable competitive advantage and ultimately the company’s survival. Brundtland Commision (1987) Our Common Future: Report of the World Commission on Environment and Development. Elkington, J. (1994) Towards the Sustainable Corporation: Win-Win-Win Business Strategies for Sustainable Development. California Management Review, Volume: 36 issue: 2, page(s): 90-100. Nidumolu, R., Prahalad, C.K. and Rangaswami, M.R. (2009) Why sustainability is now the key driver of innovation. Harvard Business Review, September 2009. Sanders, N.R. and Wood, J.D. (2015) Foundations of sustainable business: Theory, function, and strategy. John Wiley & Sons. Solomon, J. (2013) Corporate Governance and Accountability, Wiley, 4th Edition.